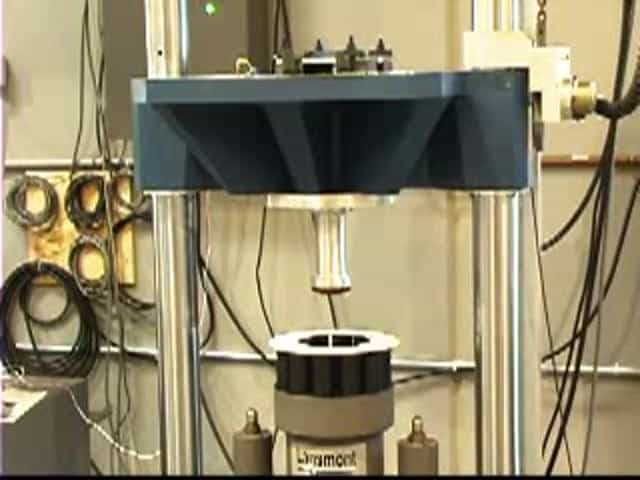 The Lansmont Model 23-D Shock Test System is the enhanced version of the standard Model 23. By designing a different shock table and incorporating the NEW TouchTest Shock II Table Top Control Console as a standard feature, Lansmont has taken our proven Model 23 design to a higher performance level to accommodate the more stringent shock testing requirements of today’s electronics field. 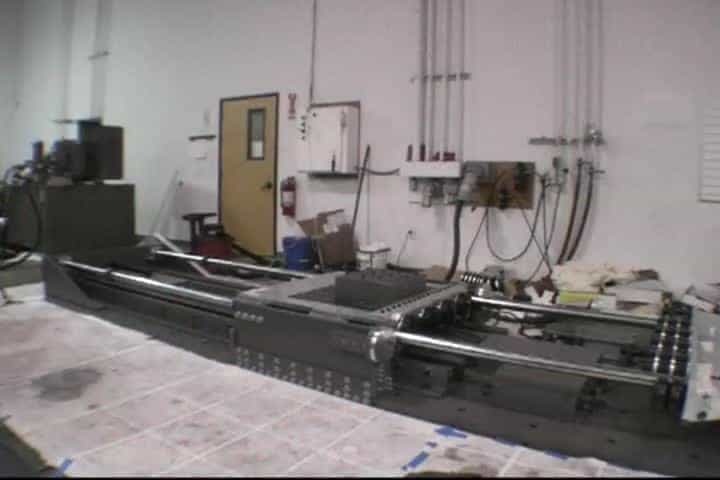 The Model 23-D incorporates an electric hoist for table position and utilizes a seismic base impact surface that is on a low frequency, damped suspension system. The seismic base itself is a massive steel block that will isolate the shock energy from transmitting through the laboratory floor into the surrounding building. The Model 23-D’s unique magnesium carriage design allows the operator to produce nearly ideal shock pulse waveforms! 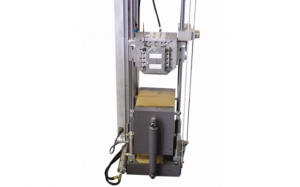 Also, the Model 23-D shock tester incorporates a table hole pattern on both the top and front surfaces so an operator can test their product in two orientations simultaneously! In addition to the more commonly requested half sine shock pulse waveform capability, the Model 23-D can also be equipped with a Lansmont Damage Boundary Programmer to allow the operator to perform trapezoidal shock pulse waveforms.